Currently in Russia there is a fairly large category of the population working “for themselves.” We are talking about the so-called “self-employed”, who receive income from providing services to citizens without registering as individual entrepreneurs, or from the use of personal property. This includes babysitters, maids, housekeepers, designers, cooks, tutors, private drivers, dressmakers, photographers, hairdressers, translators, bloggers, repairmen, taxi drivers, personal sports trainers, people renting out premises, and others. The number of self-employed in Russia is difficult to calculate: various sources cite 16 million people (the Ministry of Labor of Russia), 25 million (Rosstat) and up to 40 million (experts). For such individuals and their families, their activities are often the only source of income. At the same time, the legal status of these individuals is currently not defined in the current legislation. This results in at least two negative consequences for them and for society as a whole. Firstly, there is the legal vulnerability of the self-employed themselves, who, in violation of their rights in income-generating activities, cannot apply to a court of general jurisdiction (since the resolution of economic disputes is under the jurisdiction of the arbitration courts) or the arbitration court (since they are not registered as individual entrepreneurs). Secondly, self-employed people do not pay taxes and make up a certain part of the state’s shadow economy. The term “self-employed” is absent in Russian legislation. Probably, its use is due to the translation of the English concept of “self-employed” – literally “having employed oneself”, “working for oneself”. And the very experience of applying the tax regime for self-employed people is borrowed from foreign countries: Great Britain, the USA, Germany, Latvia, Belarus, and other countries. According to the changes made in paragraph 1 of Art. 23 of the Civil Code of the Russian Federation, in respect of certain types of business activities, the law may provide for conditions for citizens to carry out such activities without state registration as an individual entrepreneur. other types of services for personal, household and (or) other similar needs established by the subjects of the Russian Federation. To obtain a tax benefit, the persons providing these services must notify the tax authority of their activities. Registration as an individual entrepreneur is not required. As of December 1, 2018, according to the Federal Tax Service of Russia, there are only 2,880 such people. Until now, these individuals have been called “self-employed.” At the same time, this concept did not include a huge number of people providing similar services in other areas of activity, which remain “in the shadow” and who should also be covered by this term. The need to determine the legal status of self-employed was noted in 2016 at a meeting of the Presidential Council for Strategic Development and Priority Projects, in the Presidential Address to the Federal Assembly that same year, and in May 2018 activities of self-employed citizens was set as one of the components of the strategic development objectives. To create such conditions for the activity of self-employed citizens, from January 1, 2019, an experiment is being conducted on the territory of four constituent entities of the Russian Federation: in Moscow, Moscow and Kaluga regions, and in the Republic of Tatarstan. It introduces a special tax regime: “Tax on Professional Income” (hereinafter – TPI). Among the tasks to be addressed by the relevant federal law are automation of document flow between citizens and tax authorities, the release of the self-employed from the obligation to submit tax reports, as well as the introduction of a unified payment from proceeds, including tax and insurance premiums on CMI (Compulsory Medical Insurance). TPI is often referred to as “self-employed tax”, although the term “self-employed” is not used in this federal law. Instead, the concept of “taxpayers of professional income tax” is used. They are individuals, including individual entrepreneurs, who have switched to the special tax regime. From this it follows that for applying the new tax regime the status of an individual entrepreneur is generally not required. On the contrary, it is planned to expand the circle of taxpayers to include individuals who are not individual entrepreneurs and who receive professional income from other persons. 1) Activities are conducted on the territory of any of the four subjects of the Russian Federation included in the experiment. When carrying out activities on the territory of several such regions at once, an individual chooses one of them independently and has the right to change his choice, but not more than once a calendar year. 2) Lack of an employer. At the same time, the special tax regime can be combined with work under an employment contract, for example, working in a company and renting housing. Income from work will be taxed according to the general rules (personal income tax of 13%) and you will additionally need to pay TPI on rent. 3) Absence of employees under employment contracts. However, this rule does not prohibit the use of assistants, as well as entering into civil contracts. 4) Receiving income from the use of property located on the territory of the subjects of the Russian Federation included in the experiment. 5) Annual income does not exceed the threshold value of 2.4 million rubles. business activities on the basis of contracts of proxy, commission or agency contracts. Also, state and municipal employees are not entitled to apply the special tax regime (except when they rent out residential premises). It is not allowed to combine TPI with other special tax regimes. For example, an individual entrepreneur applies a simplified taxation system in his activity and at the same time rents a private apartment to an individual but does not pay the simplified tax from the latter type of activity. From January 1, 2019, he can either start paying a simplified tax on income from renting out his apartment or switch to paying TPI and pay the new tax from 2019 at a rate of 4%. Some income is not subject to the new tax. Among them: income within the framework of employment relations; income from the sale of real estate, vehicles; income from the transfer of property rights to real estate (except for renting (hiring) residential premises); income from the sale of property used for personal, household and (or) other similar needs; income in kind and from the assignment of rights of claim; income from the activities of arbitration managers, notaries, lawyers, mediators and others. Income from the activities specified in clause 70 of Art. 217 of the Tax Code and already mentioned nannies, nurses, tutors, cleaners are not subject to taxation, if they are registered as such. 1) Simple registration without a visit to the tax office. This is ensured by the active introduction of electronic interaction between tax authorities and individuals. It is carried out through a special application “My Tax”, developed by the Federal Tax Service. You can install the application on your computer, laptop, tablet, or smartphone. Through this application, you can register as a TPI taxpayer, as well as deregister. All information from the tax authorities, including tax claims, is sent to the taxpayer through “My Tax”. The documents are re-sent in paper form. For example, no later than the 12th day of each month, the IFTS sends a notification through the application about the amount of tax payable and details. Term of payment of TPI: monthly, no later than the 25th day of the month following the expired tax period. For example, the tax for January 2019 must be paid no later than February 25, 2019. Through the application, the taxpayer has the right to provide the tax authority with the right to send instructions to the bank to withdraw funds from the bank account. Some banks have already developed their mobile applications and offer customers to set up auto payment for such obligations. An alternative to the mobile application is interaction through operators of electronic platforms or credit institutions, which the taxpayer may authorize to carry out information exchange with the tax authorities. A list of them is in the “My Tax” application. The use of the electronic interaction system will significantly save the time of the taxpayer and tax authorities. At the same time, individuals are obliged to independently control the sending and receipt of information, including in the event of technological failures. insurance premiums (they can be transferred voluntarily). 6% of income from their sales by individual entrepreneurs for use in business and legal entities. The transition to the new tax regime does not exempt individuals from paying property tax, and individual entrepreneurs from the duties of a tax agent. 3) Individuals do not need to apply an online cashier. For individual entrepreneurs, the cash register is not required only for income that is subject to TPI. When making settlements with the buyer using the mobile application “My Tax” a receipt is issued, the data of which is automatically transferred to the tax authority. The receipt can be transferred to the buyer in electronic form or on paper. 4) Self-employed do not need to submit tax returns. The tax authorities will rely on the information about the income that the person himself has made in the application “My Tax”. The FTS of Russia will be able to control cash flow through monitoring of operations on the payer’s bank cards. 5) Taxpayers have the right to reduce the amount of tax on the amount of tax deduction in the amount of not more than 10,000 rubles. The tax deduction depends on the tax rate. If income tax is paid at the rate of 4%, the deduction will be 1% of the income. If the rate of 6% is applied, the deduction is more: 2% of income. Reduction of the amount of tax on the amount of tax deduction is carried out by the tax authority independently. 6) Transition to TPI is voluntary. If a self-employed person is not registered, this does not entail any responsibility. 7) Stability of the tax rate. 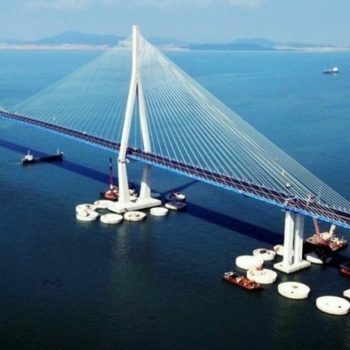 The experiment is designed for 10 years, during which the tax rate cannot change. Along with the benefits of the new tax regime, a number of issues remain unclear. First of all, this applies to business activities and activities, the proceeds of which are subject to the TPI. The practical significance of this difference lies in the fact that for the carrying out of entrepreneurial activity without state registration as an individual entrepreneur or legal entity comes administrative or criminal liability (Art. 14.1 of the Code of Administrative Offenses, Art. 171 of the Criminal Code), while the registration of citizens as self-employed is voluntary and does not entail liability. Attempts to distinguish business from professional activities, as well as from economic activities, are made in the scientific literature. However, the law on the experiment does not use any of these concepts, evasively calling the activities of self-employed “activities income from which is subject to tax on professional income”. One could note that in this definition, in indicating characteristics of professional income the legislator actually specifies characteristics of taxpayers of TPI, instead of characteristics of the activity performed by them. Is it possible to consider the activities of self-employed as entrepreneurial? Both are aimed at making a profit, are carried out at their own risk, are systematic (the systematic nature of the activities of the self-employed is assumed) and can be carried out both with registration as an individual entrepreneur and without it, in cases established by law. In contrast to entrepreneurial activity, the activity of obtaining professional income always involves only the personal provision of work and services, as well as the receipt of income from the use of personal property. In cases where entrepreneurial activity is conducted by an individual entrepreneur personally, the boundary between it and activity from which income is taxed by the TPI is erased. 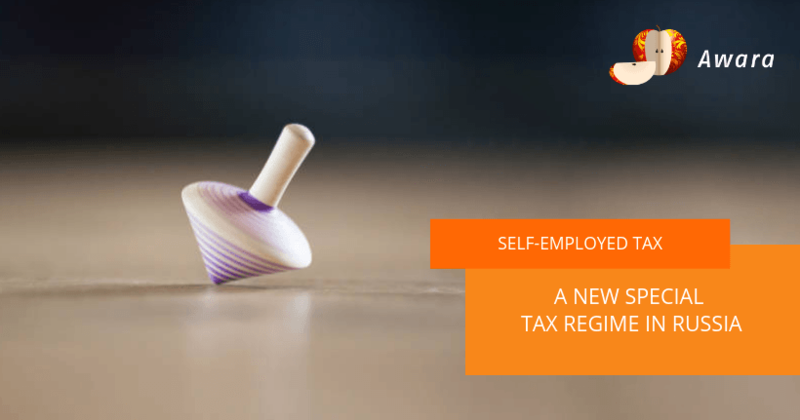 The consequence of this may be that the number of self-employed is increased not by individuals who register for the first time, but by individual entrepreneurs who would prefer to switch to TPI as a more favorable tax regime. A number of difficulties may be caused by provisions of the law prohibiting the payment of TPI for persons who recruit employees under labor contracts. So, an individual entrepreneur who wants to pay TPI, but who has employees who have labor relations with him, is likely to try to arrange the existing legal relations not as labor relations, but as civil law. This will lead to a violation of both the labor rights of workers and the impossibility of such workers paying TPI in the next two years, since according to clause 8 of Art. 6 of the law, income from the performance by such persons of services under civil contracts to former employers may not be subject to taxation. The question of the payment of TPI by persons providing services or selling goods via the Internet – freelancers, store owners on Instagram and others, requires clarification. How to track that they carry out activities in one of the four regions included in the experiment remains unclear. Attention is drawn to the weak legal technique in the design of the norms of the law. So, for example, the phrase “an employee under an employment contract” used in determining professional income contradicts the norms of the Labor Code of the Russian Federation, according to which a person who has an employment relationship with an employer is called an employee, and the word “hire” in the meaning of the Civil Code applies only in relation to property, in particular, residential premises. 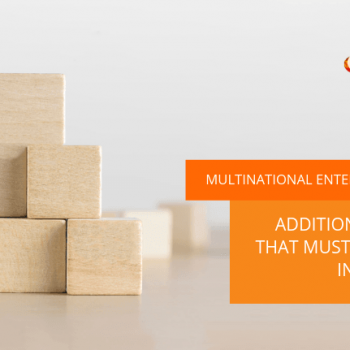 The presence of duplicate rules should also be noted, in particular, when transferring income that is not subject to taxation, and persons who are not entitled to apply the special tax regime. It is assumed that the experiment on the introduction of TPI will allow consolidating the legal status of the self-employed. This is facilitated by fast registration as a taxpayer, lack of reporting, and electronic document flow with tax authorities. Adoption of the draft law should increase the number of individuals conducting activities in the legal field, and, accordingly, the receipt of money from them into the budget. At the same time, a number of provisions of the law require further clarification. It seems that the success of its implementation depends largely on the level of legal awareness and a sense of civic responsibility of the population. See: I.Ershova, E.V. Trofimova “Self-Employment: Reference Points of Formation of the Legal Regime” // Business Law. 2017. No. 3. p. 3-12. See: M. Kleandrov “On the Need to Obtain a Legal Status by an Unregistered Entrepreneur” // Business Law. 2015. No. 3. p. 3-13. Federal Law dated July 26, 2017 No. 199-FZ “On Amendments to Articles 2 and 23 of the First Civil Code of the Russian Federation” // CL RF. 2017. No. 31 (Part I). Art. 4748. Decree of the President of the Russian Federation dated 07.05.2018 No. 204 “On the National Goals and Strategic Objectives of the Development of the Russian Federation for the Period up to 2024” // CL RF. 2018. No. 20. Art. 2817. Federal Law dated 27.11.2018 No. 422-FZ “On the Experiment to Establish a Special Tax Regime ‘Tax on Professional Income’ in the Federal City of Moscow, in Moscow and Kaluga Regions, and in the Republic of Tatarstan (Tatarstan)” // RG. 2018. No. 270. See: Explanatory Note to the draft Federal Law “On Conducting an Experiment to Establish a Special Tax Regime ‘Tax on Professional Income’ in the Federal City of Moscow, in Moscow and Kaluga Regions, and in the Republic of Tatarstan (Tatarstan)” // SPS “Garant” (The document was not published). See, e.g. : I.V. Ershov. Economic Activity: The Concept and Relationship with Related Categories // Lex russica. 2016. No. 9. p. 46 – 61.